If you are an entrepreneur with a new business or a breakthrough business idea,the New York Times wants to meet you. Send your pitch on video. Introduce your product or service, your marketing plans, your customer base. Explain what makes your business different — why it is one to watch? Do you need capital? If so, how much and what for? Most important, how are you going to make money? For more suggestions on how to draft your pitch, please watch the video below. All video pitches that meet the submission guidelines will be featured on The New York Times small-business Facebook page. Once your video is ready, you can upload it to YouTube and send a link to MakeYourPitch@nytimes.com. And for full rules and instructions, please click here. Want to own your own online store? Etsy is cool and so is Ebay but have you heard of Shopify? Shopify is the most elegant, customizable and affordable hosted e-commerce platform available. It allows you to set up an incredible online store in minutes, and you can sell just about anything. You can easily organize your products, customize your storefront, use your own domain, accept credit card payments, track and respond to orders, and they host it all for you. Even if you already have a physical storefront, your online shop is open 24/7, open for business to the entire world. Imagine the increased opportunities and revenue you can earn by broadening your business, and do it with just a few clicks. Shopify is extremely easy to use. You don’t need a web designer, developer, or technical expertise to get your site up and running, and managing it is a breeze. Simply select a Shopify theme that suits your style, and add your products. It’s that simple. If you happen to get stuck, every Shopify store comes with helpful, friendly and fun support team to help you along the way. In addition to technical support, Shopify e-commerce gurus are at your disposal; ready to help you make the most out of your online store and maximize your business potential. This group of highly trained e-commerce experts provides hints, tips, and incentives for effectively reaching your business goals. From the stay at home mom selling handmade knitwear, to companies like Angry Birds, Tesla Motors, Foo Fighters, and even not-for-profits like Amnesty International, over 12,000 stores use Shopify. Shopify offers a completely risk free 30 day trial for everyone who signs up. So go ahead and test out that online business idea you’ve always wondered about- it could change your life. Shopify currently has a contest going on that could win you a lot of money. There are some serious prizes here – grand prize $100,000, and $20,000 prizes for product-specific winners. There are also small prizes for the first 2,500 to sign up, like business books and ad credits. Hey Rhode Island Entrepreneurs–there’s 150k in Prizes Up for Grabs! The Rhode Island Business Plan Competition is the leading community-supported business plan competition in the Northeast, supported by private businesses, colleges and universities, public entities, and nonprofit organizations. 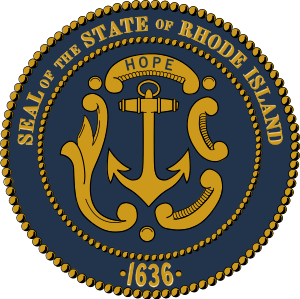 Established in 2000, the Competition aims to further develop the entrepreneurial spirit in Rhode Island and help create growth companies that will increase local employment. The Competition encourages plans for new businesses, as well as from early stage companies. An early stage, or seed stage, company typically is at the inventor stage where there is an idea, a concept, or even a product, but little or no income has been generated yet. 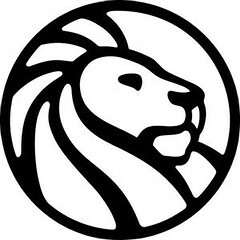 Winners and finalists will share more than $150,000 in prizes. Applications to the Rhode Island Business Plan Competition must be submitted online and may be submitted at any time, but no later than by 5 p.m. Eastern time on April 4, 2011. Win $5000 in marketing and other fabulous prizes!!!!! 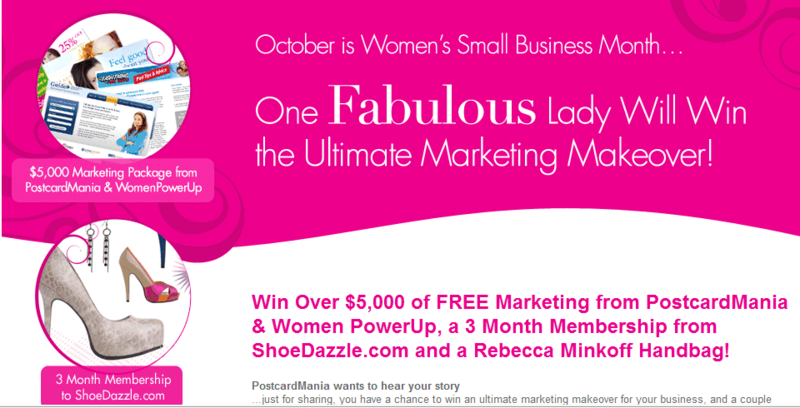 Win Over $5,000 of FREE Marketing from PostcardMania & Women PowerUp, a 3 Month Membership from ShoeDazzle.com and a Rebecca Minkoff Handbag! Just for sharing, you have a chance to win an ultimate marketing makeover for your business, and a couple fabulous things for yourself. The contest is simple. Postcardmania wants to reward women who strike the balance between work and life. As women business owners, you’ve walked the line and deserve some recognition. It’s FREE to enter, just answer the question on their website at http://www.postcardmania.com/fabulous/ and you are on your way to winning a fabulous prize! Contest voting ends November 12, 2010 at 11:59 pm EST. 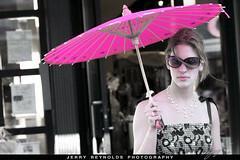 For more information on Postcardmania (our new favorite company) visit www.postcardmania.com. Do you want to win free office space for a year? Contestants can enter a photo or video of their current, less-than-ideal workplace, and site viewers will be able to vote for the entry most deserving of a new office. The 10 entries with the most votes will proceed to the final round of judging. One lucky winner will receive a year of fully furnished, fully equipped office space at any of Regus’ more than 400 U.S. locations. Nine runner-ups will receive Virtual Office Plus packages from Regus, allowing them to work more productively on the go.